Join in the Fun at Milwaukee Running Day! Join your fellow running enthusiasts and come celebrate our city’s newest holiday: Milwaukee Running Day! Hosted by the Milwaukee Running Festival, this is a must-attend event for all runners in the MKE area. What is Milwaukee Running Day? It’s a day to celebrate running and Milwaukee. We are planning a celebration event at Veteran’s Park that evening which will include a 4.14-mile fun run and a party with vendors and refreshments. We will also read a proclamation from Mayor Barrett declaring it Milwaukee Running Day, and who knows, maybe he will attend and read it in person. Why did you decide to create a Milwaukee Running Day and how did you pick June 2 to celebrate the holiday? National Running Day is June 1, and we thought the day might be best. That way, it could be a two-day celebration of the activity we all love so much. Why should MKE runners join the event? It will be a great way to meet like-minded people in a beautiful lakefront setting, get in some miles and talk running. Can you tell us a bit about the course? What is the distance and where does the course travel? The course is 4.14 miles (Milwaukee is the 414 area code, so why not?!?!?). It will start/finish near the lagoon in Veterans Park and stay on the Oak Leaf Trail. It is not a timed run and will be only for fun. What’s happening after the run/walk portion of the event? We plan to have plenty of food and beverages for purchase, will be playing music and should have most of the local running stores in attendance. We will have more details on this as the date gets closer. We are going to try to create a fun, running-themed atmosphere. Who can participate and do people need to register? If so, is there a registration fee? There is no need to register and it’s free. Just show up and enjoy. We have created a Facebook page and the link is here https://www.facebook.com/events/180282155694040/. This will have all of the details and current information. Are walkers welcome? What about strollers and/or pets? Walkers, strollers, pets are all welcome! Who are the event sponsors? This event was made possible by a generous donation from Running in the USA. Since it’s a free event and does not generate any revenue, it was important that we raise enough funds to cover the insurance and permit fees, and Running in the USA’s contribution did just that. We can’t thank Bill and Mary Flaws enough for making this happen. Thanks so much for chatting with us, Chris! Will we see you at the upcoming Milwaukee Running Day celebration? Let’s Get to Know … Bill Flaws! What’s one thing we all do after a race? We look through the race pics! Sometimes, a pic captures a runner at his or her best, while other times the struggle is evident. But no matter what, they are a memory of the day and evidence of another race in the books. Race photographer, Bill Flaws, has photographed about 400 races to date so he’s just about seen it all. 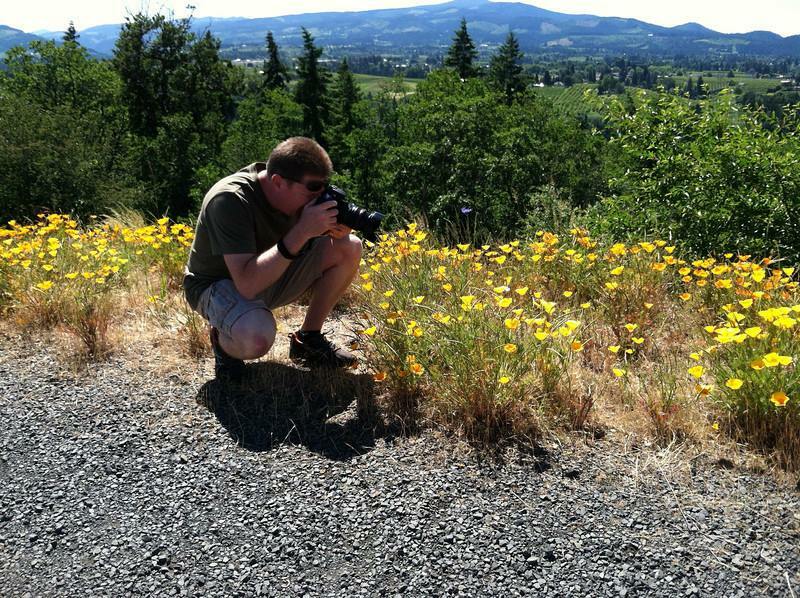 Read on to learn more about how he got started and what he loves about taking race pics! Has photography always been a business or hobby? If so, what types of things do you photograph other than races? Race photography and photography in general has always been a hobby for me. When I’m not taking pictures at races, I enjoy taking landscape and architectural type photos. When did you start taking race pics and what inspired you to start? I started taking pics at races when my wife (Mary Flaws) started running. It was a way to document her races. As she continued running more and more races, I decided that since I was there to support/cheer her on, I might as well snap pics of the other runners. I started posting these pics on our Running in the USA website as a way to generate some interest in the site. Eventually I had people asking if they could buy prints or digital downloads. That is when I decided to create an account at SmugMug to allow people to not only view all the photos but purchase prints, merchandise or downloads. To date, how many races have you photographed? Also, what are some of the highlights? It looks like I’ve taken photos at about 400 races (running/tri/du) and have taken close to a quarter million photos. Oh my, that sounds crazy doesn’t it?!? The furthest away race was the Big Island International Marathon in Hilo, HI which was Mary’s and our friend Joey Heinrichs’ 50th state. I believe I’ve taken race photos in 48 different states – no New York or Kansas for sure. Mary did the New York Marathon during a girls’ weekend trip to New York and she decided to do a marathon in Kansas when I had already committed to take photos at a race here in the Milwaukee metro area. I’m sure someday I will have the opportunity to finish out those two states! One of the smallest was probably a race that Mary ran in Wyoming on a mountain ski hill. That race had a 50M, 50K, marathon and 10K. Mary was one of about 25 marathoners. As for the largest race I’ve taken photos at…you’d think Chicago Marathon would be an obvious answer since its close and one of the largest (and Mary did run the Chicago Marathon), however I did not take photos when she ran that race! Probably the largest I’ve taken photos at is the Boston Marathon or the Marine Corps Marathon. What is your strategy when taking pics at races? Before a race I try to take a look at the course along with checking out Google maps of the general area. From those, I decide which spots on the course I can get to, how far into the race is the location, where will the sun be, etc. At the race, I try to get pics of the start and at least one other spot during the race where the runners have thinned out a bit. I generally try to avoid being right at the finish line so as to not get in the way of spectators/family cheering on their runner. After photographing so many races – and also being married to Mary – are you also a runner or did you run at some point? This may be one of the most asked questions I get…So, do you run also? I did run some track in high school. Short distances…200 and 400. That was enough for me! I love the challenge of trying to capture and record athletes in competition. I like the determined looks on their faces and the emotion that comes out when athletes realize they are going to finish a race – be it a 5K or 50 mile. The energy from the spectators is great at most events and I’ve met lots of awesome/inspiring people through this little hobby. Since I don’t run, it’s my way of giving back to the running community. What are some of the funniest/most interesting ‘poses’ you’ve seen runners do during races? I usually see the standard things – arms out with a big smile on their face running right at the camera; peace sign; thumbs up; sticking tongue out along with the “moose ears” maneuver (which is mostly from Mary!). I will occasionally get people that see me and jump in the air with a fist up. If you do this, please be careful…I actually had someone do that and he cramped up right as he landed – felt bad for him as he hobbled down the road. I’ve had lots of times when groups of women will stop to pose or a group of friends running side-by-side who will hold hands above like a victory salute. It’s all fun and gives me a chuckle. What are some memorable races that you’ve photographed? Run/Walk to Irish Fest in Milwaukee – This was not a good memory but memorable for sure. I had parked my vehicle on Lincoln Memorial Drive and during the race someone did a smash and grab. Broke the passenger side window and took off with a camera backpack and another bag with a backup camera body, lens and other accessories. Never saw that stuff again. Salmon Marathon in Salmon, ID – This was a memorable one for me because of the locals I talked to did not mention the scenery. I had picked out a spot to take photos and a couple of guys had come out to watch the marathoners go by. They saw me with a big camera and came over to chat while I waited for the marathoners. I was probably there for over half an hour. They were not runners but were very appreciative of this marathon coming through their community and genuine enjoyed cheering for the runners going by. 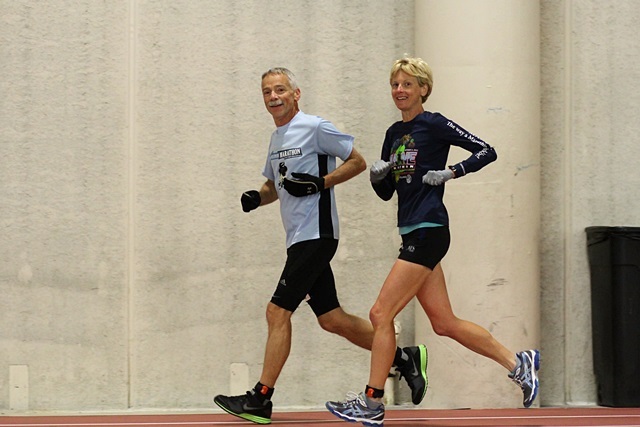 Boston Marathon – I’ve been fortunate to be able to accompany Mary and other running friends to the Boston Marathon four times. My favorite is taking ‘the T’ from downtown Boston out to mile 17. Lots of spectators but you can still find space to get to the edge of the road to see the lead women and men along with the media trucks, etc. – and then see the rest of the field and hopefully spot your friends! Quite an awesome sight to see and the energy is great. What are your top tips for taking a great race pic? 1. Keep the sun at your back, but watch where your shadow falls! 4. Take lots and lots of photos and then select the best ones. 6. Try to keep shutter speed well above 1/250 second which will help ‘freeze’ the action. 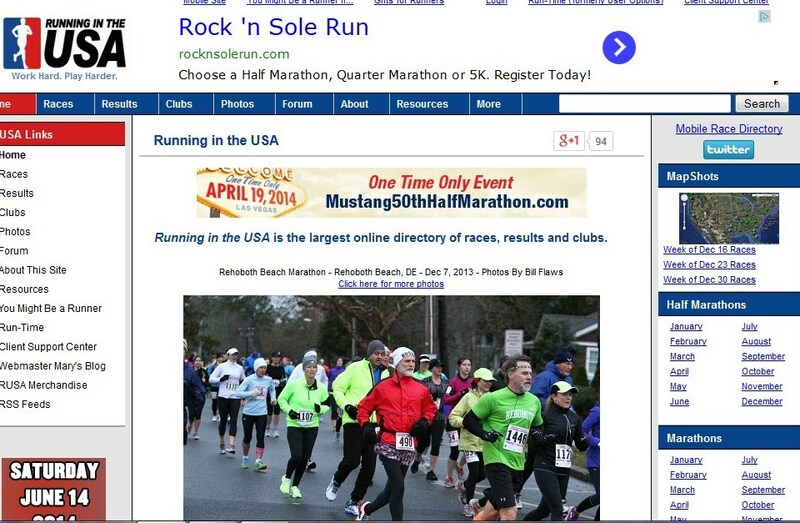 One thing we’ve noticed is that Running in the USA race pics are very reasonably priced compared with other companies. What was behind the decision to keep prices down? I did this on purpose. This truly is a hobby for me and this is my little way of hopefully giving back to the running community. Earnings from the sales goes back to paying the hosting company fees for hosting the photos and to buy/repair/replace/upgrade camera equipment. What upcoming races will you be at and how will runners know it’s you so they can give a friendly wave? Well, as I tell everyone … I will most likely be at a race that Mary is running or local races in the Milwaukee metro area. So, you may see me at the Mad City 50K in Madison, WI (4/11/2015), maybe at the First Call Half Marathons in Waukesha, WI (4/12/2015), certainly at Run for the Hills in Brookfield, WI (4/26/2015) and Ice Age 50 in La Grange, WI (5/9/2015). 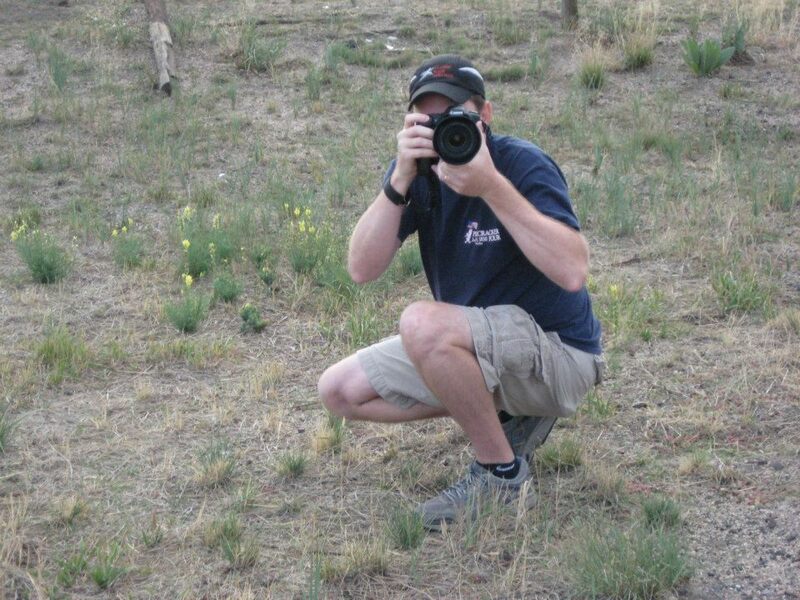 If you see a goof with a big camera and white lens over his shoulder, usually a black hat and crouching near (but not right at the finish line!) … pretty good chance it’s me. Just yell Bill, that’s what most do! Thanks for chatting with us, Bill! To learn more about Running in the USA, visit www.runningintheusa.com. Planning Your 2014 Race Schedule? Check Out Running in the USA! As you’re putting together your 2014 race schedule, don’t forget to check out Running in the USA for information about upcoming races in all 50 states. This locally produced national resource is managed by Bill and Mary Flaws and got its start right here in MKE. 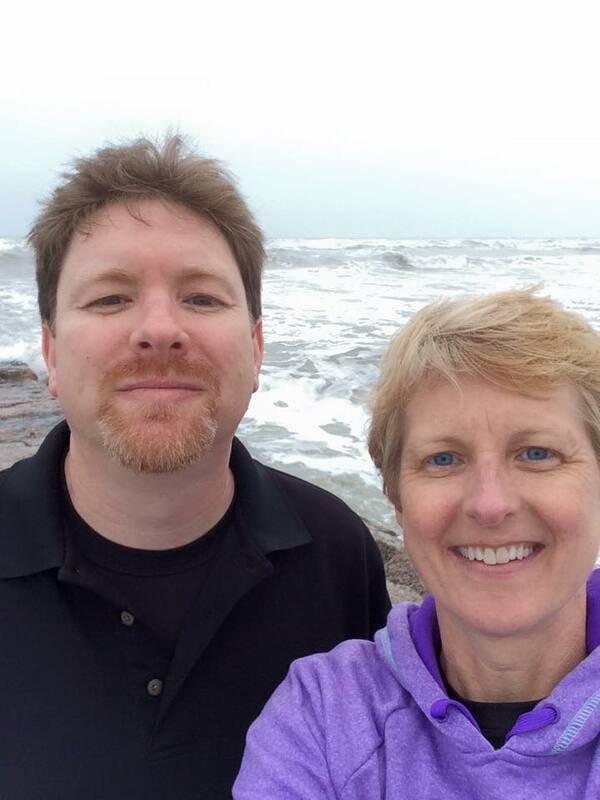 Read on to learn more about why the couple decided to start the popular website and how it’s grown over the years! For people who are unfamiliar with Running in the USA, can you talk a bit about what the site is and what it offers? Running in the USA is an online directory of races, results, clubs, photos and forums. The website was created and is maintained by Mary and Bill Flaws of Waukesha. The site is free for anyone to access and use. Our goal is to list every running-related race in the USA. We want to make it easy for our visitors to find race information, past results, race photos, and to connect with other runners through running clubs or running forums. The site currently has links to more than 44,000 races. What types of things can people find on the website? Primarily, people can find an easy way to find a race in the United States. The site has links to running-related races, results, clubs and photos as well as multiple running-related forums. There is a neat 50 Stater’s Gadget that helps find ‘Marathons in Nearby States on Consecutive Days’ for those pursuing a marathon in all 50 states. We have also setup some special pages that we call Mapshots, which are pages displaying a map with markers for specific types of races such as marathons, half marathons, 10Ks and triathlons, as well as specific “themed” races such Fourth of July, St. Patrick’s Day, Valentine’s Day and Thanksgiving Day related races. The site also has a Resources section with information for Runners (Beginning Runners, Racing FAQ, How Race Scoring Works) and Race Directors (Submitting and Promoting Your Race, Race Website Tips, Organizing A Race). It’s likely a lot of people will be surprised to learn a national running resource is operated right here in MKE. How did you get the idea to start Running in the USA? Mary started running in 1999 and didn’t like the online race calendars provided by larger publications and local running clubs spread across the country. So, she started developing her own personal database of races she was interested in and then launched a website with that database on the Web in 2002. Can you tell us a bit about the site’s history? Running in the USA started as 2 websites. Running in the USA was started in the fall of 2002 by Don Drewniak and was primarily a directory of race results. Run This Planet was started in the fall of 2002 by Mary and Bill and was primarily a directory of races and running clubs. In the spring of 2003, Don contacted Mary and Bill and proposed a merger. Don continued to help with results for another couple years before ‘retiring’ from the running website realm. The site has gone through a few redesigns since 2003 – one in 2006 and another in 2008, which is basically what is seen today. Mary and Bill along with their adult son (Danny) manage/maintain the full site to this day. How do you find the information that is listed for each state? Lots of the initial races that started our database were added by us – big, well-known races, as well as the well-known, local Milwaukee-area races – and by us just scouring the internet, looking at race club websites and race management/timing company websites. Now, because of the longevity of our site and by word of mouth, many newer races are submitted to us to review and add/update on our site. We send out emails to the race contacts to let them know about the race information presented on our site for their event and we also ask for the new date or to submit updates as needed. We personally review every submission that comes into our site before it appears publicly. Because we do it this way, there is no need for any usernames or passwords. So anyone can submit to us. We literally check hundreds of links every week, (sometimes hundreds in a day), looking for new races, updated races and race results. How is Running in the USA active in the MKE running community? 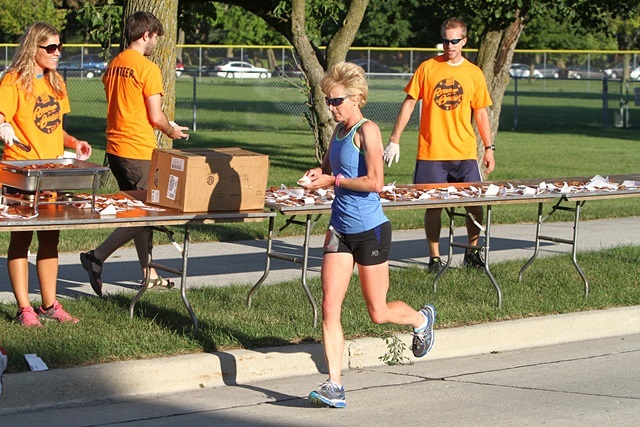 Mary runs many of the MKE area races. Bill takes photos at many MKE races. Starting as a hobby to document some of Mary’s races, Bill took photos of her in races. He then started taking photos of others as well as the race itself. We started posting these photos on our home page to help draw interest in the site. It is still a hobby to Bill and he tries his best to get a photo of everyone – not just the speedsters at the front of the race! You’ll see Bill at races around the MKE and the southeastern WI area (usually behind a big white lens) snapping away. Running in the USA is a sponsor for some local races. We also provides 60 dozen cookies in the shapes of the United States and running shoes for the Icebreaker Marathon Weekend in January at the Pettit. What are your goals for Running in the USA? We are always looking for new ways to make finding races easier for our visitors. We have some ideas for a few new features; we just need the time to implement them. So, if any Keep Running MKE readers have been to our site and thought “It was be really great if it did this…” send us an email, and we’ll see if we can do it. Three-time winner of the Indoor Marathon Gold Medal Challenge, 100 mile weeks, ultra and trail runner – and to think she just started running at age 32! it’s fair to say, Mary Flaws is an inspiration to us all. 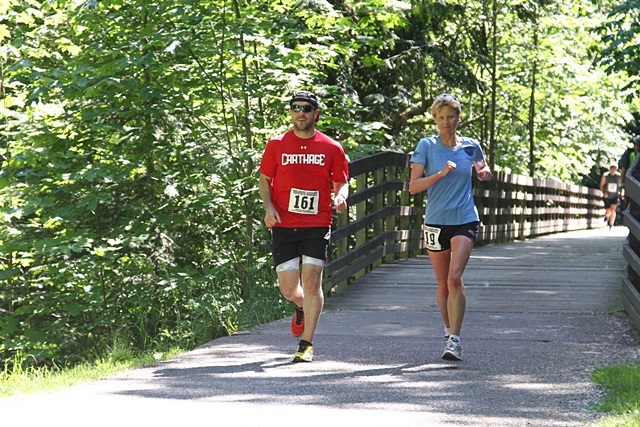 Read on to find out how she got started, training tips and a few of her favorite local races! I’ve won one 50K, 2 trail marathons and 6 road marathons. Bismarck was my first marathon win in 2009. Flaws with Joey Heinrichs at the North Olympic Discovery Marathon, June 2013. I started running after talking to two different people who were training for the Chicago Marathon. One was a newbie and one a veteran. The newbie explained the 18-week buildup that started from being able to run 3 miles. I asked my husband if he thought I could run a marathon. He gently said no. I asked him if the thought I could run a half marathon. He gently said no. I asked him if he thought I could run a 5K, and he kinda shrugged. So I found the Couch to 5K and ran my first 5K three months later. I ran my first half marathon a year later and my first marathon a year after my first half. My husband jokingly says I was just trying to prove him wrong. What does a typical training day look like for you? It could be anything from speedwork, tempo run, short run or long run with training partner, Dennis Hanna. Long runs up to 35 miles. How has your training and/or racing changed as you’ve aged? I didn’t start until I was 32 and was a mid-pack runner until about 42. You’ve been the top female at the Gold Medal Challenge (Icebreaker) and the Inferno Challenge (Heatbreaker) several times. What draws you to these types of events and how do you train for them? I love the atmosphere of the Gold Medal Challenge and Heatbreaker. Instead of running only with those running your pace, you get to run with everyone. Also, knowing race director Chris Ponteri, and his staff, and many of the volunteers, spectators and participants, it has a very comfortable relaxing feel to it. It’s like being at an open-house gathering, while running in circles. Do you have any training tips or tricks that might also benefit other runners? Don’t be afraid to try something new or untraditional. Don’t be afraid to run so hard you want to throw up. Don’t be afraid to fail. Failures make better stories. Milwaukee? How about SE Wisconsin? My favorite is probably the trails in the Kettle Moraine State Forest. I am on a quest to run a sub-4 hour marathon in every state. I have 34 done. Joey Heinrichs, son-in-law of training partner Dennis Hanna, told me about this group. He also has 34 states done. We plan to finish in Hawaii in 2015. There are so many runners here and so many great places to run … Oak Leaf Trail, New Berlin Rec Trail, Muskego Rec Trail, Hank Aaron Trail, Fox River Bike Path, Glacial Drumlin Trail. So many races to choose from. And absolutely any weather you can imagine. Thanks for chatting with us, Mary! If you’re a runner in MKE, we’d love to speak with you. Send us an email at keeprunningmke@gmail.com if you’d like to be featured or know someone who should be featured in an upcoming Let’s Get to Know . . . post.